How can you set realistic post-injury goals? Physiotherapist Charissa Fermelis breaks down a method that works. Picture this: You recently rolled your ankle at netball. You’ve been assessed by your physiotherapist, and they’ve set you exercises to do at home. 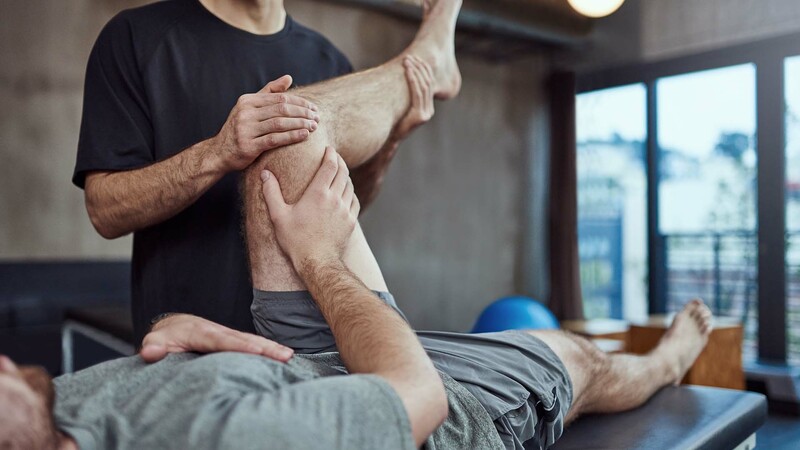 After conscientiously following the physio’s advice for a few weeks, your symptoms settle down, so you return to your pre-injury activities and stop physio exercises. Fast forward three months later - you’re running to catch the tram and you roll your ankle again, but this time it’s more severe. Ouch. A truly great health practitioner will empower you to self-manage your injury. They should give you specific strategies to work into everyday life to reduce symptoms, restore and retrain optimal function, and reduce the risk of further damage. Unfortunately, maintaining motivation to persevere with those strategies can be really tricky, especially when the injury is no longer interfering with your routine. This is where goal setting can inspire you, and keep you disciplined as you embark on a rehabilitation (or fitness) journey. Establish small milestones, develop aims for next month and aspirations for beyond. A great example of this is the SMART goal method. Get your physiotherapist to help you target a specific area, with a clear understanding of how and why you will improve it. Define clear and measurable outcomes. Create tangible progress checks and evidence of completion to keep on track. Make goals achievable to avoid becoming demotivated. You should feel slightly challenged, but have the right knowledge, skills, and abilities to reach them. Make your goals results, not actions. How will you know if you have reached your desired result? Establish a timeframe with a progressive and practical sense of urgency. Create goals that have tension between the current reality and the expected, goal reality. Reduce pain, swelling and joint stiffness to regain normal, pain-free, function and movement, and restore ease of activities of daily living. My ‘knee to wall’ lunge measurement should be within 2cm of the other leg. Start a home exercise program aiming for symmetrical range of movement, strength, stability and proprioception (muscle contraction) between both ankles, working up to returning to netball training by the end of week 4. Must be able to complete 3 sets of 12 consecutive single leg calf raises off a step (bare foot and pain free) before getting back into jumping and running. Maintain my return-to-sport protocol consistently 3 to 4 times per week in the lead up to completing 2 full training sessions prior to being available for match selection. to reward yourself appropriately when you succeed!